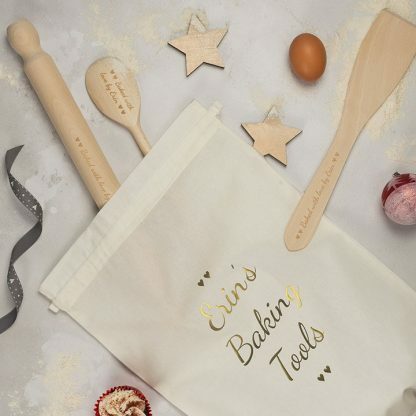 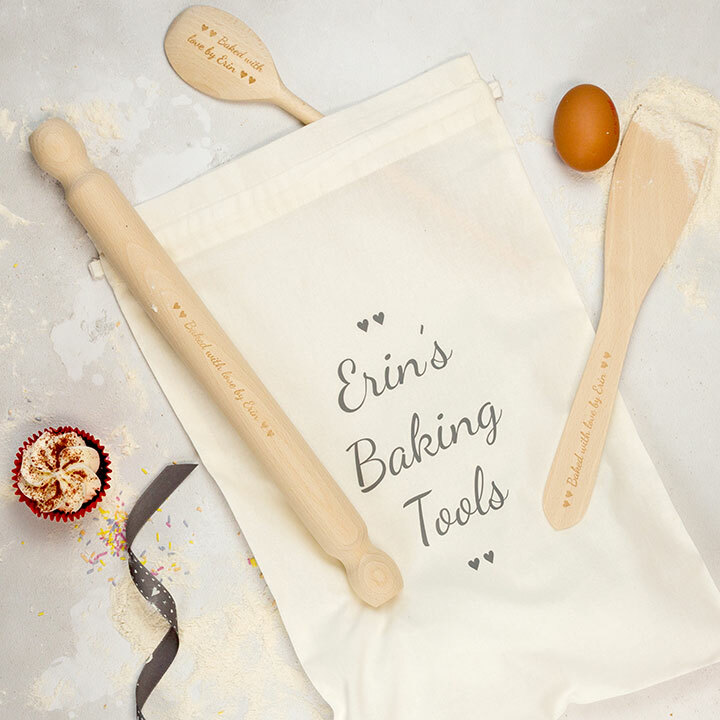 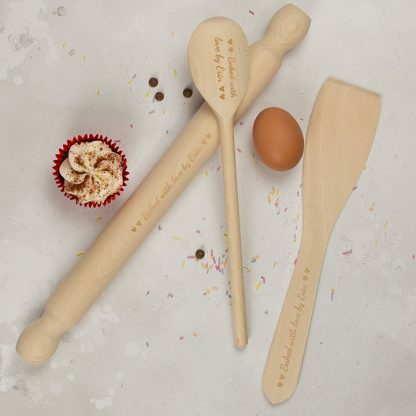 A full size set of solid wood baking utensils, personalised with any message you like (up to a max of 30 characters). 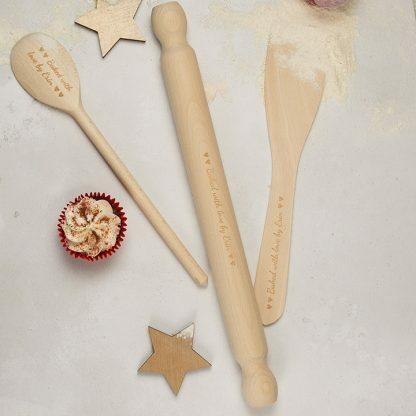 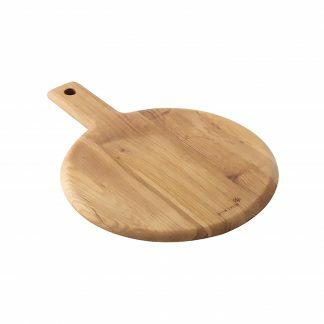 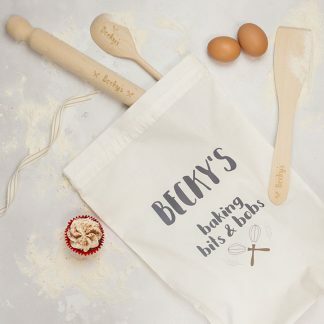 Suitable for little hands as well as fully grown ones, each set will comprise a rolling pin, spoon and spatula. 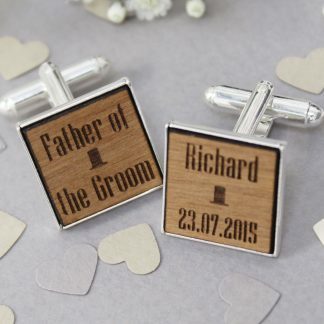 All wrapped up together with a pretty gender neutral ribbon. 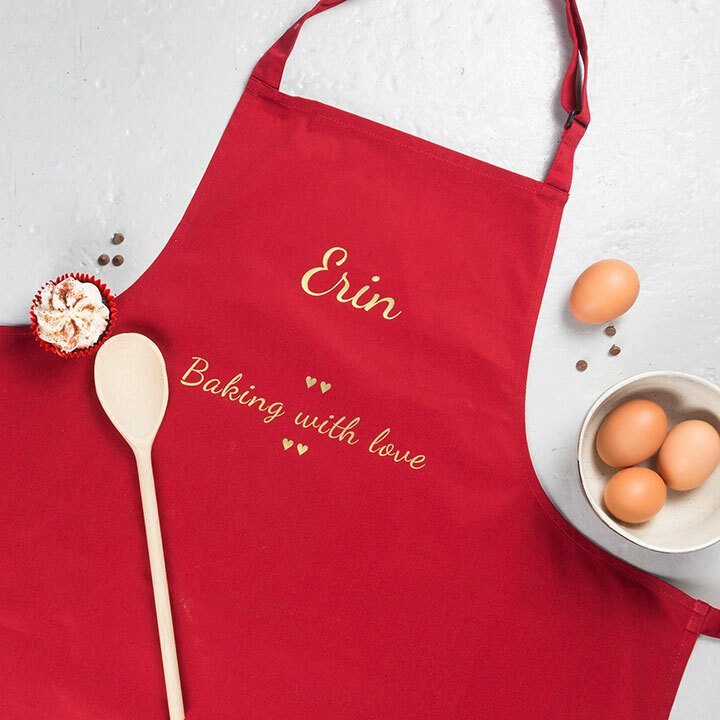 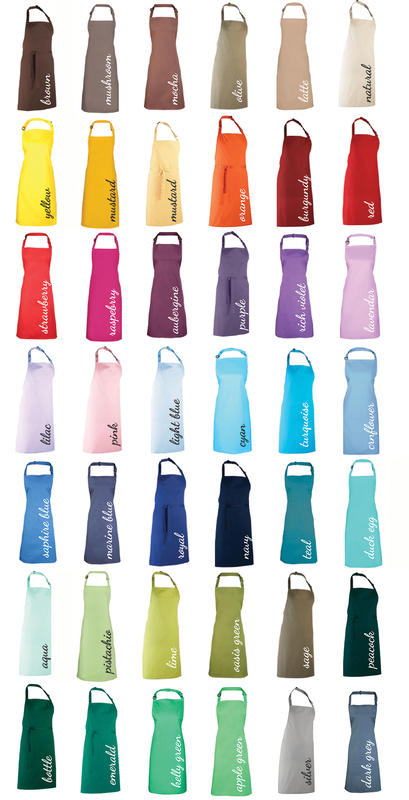 Make it extra special and add a matching personalised apron and or bag. 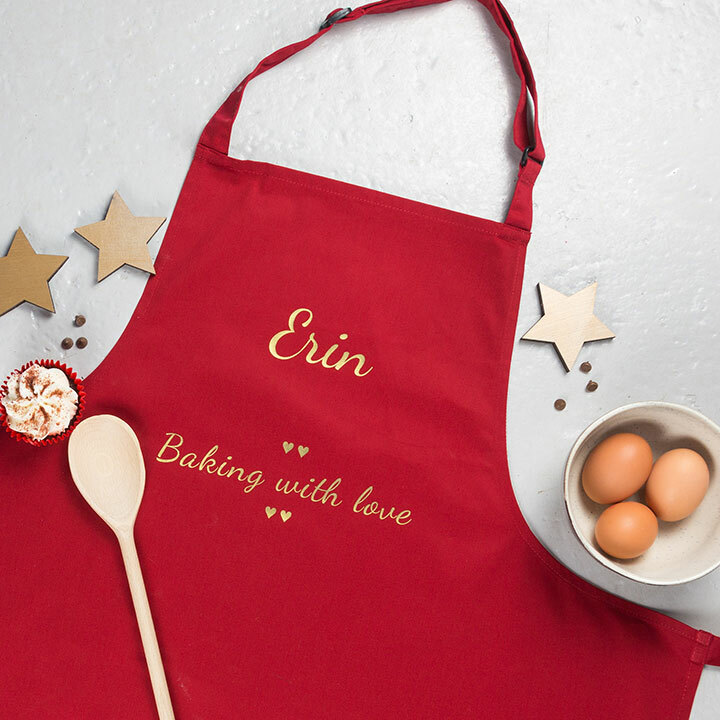 If you opt for hearts on your utensils, we will include the hearts on your optional apron/bag – please see thumbnail image for an example of what it will look like.